I wonder if she goes both ways? 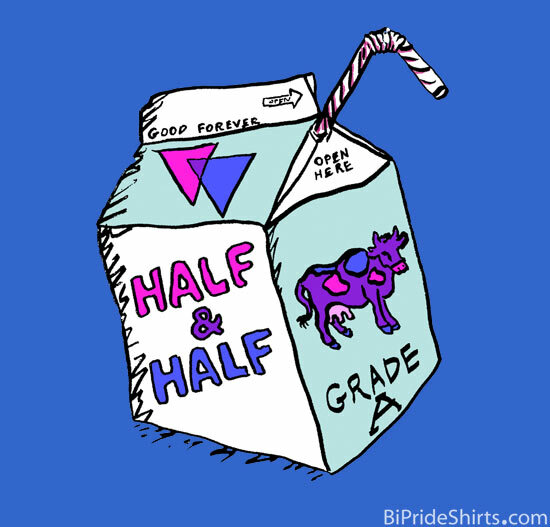 Another fun and flirty shirt for bi girls that serves to invite comment, let other girls know you may be interested, let bi-phobic lesbians know you are NOT just into one gender, and also helps spread bisexual awareness in a non threatening and lighthearted manner. I know it looks so amazing in grey tones, but we did a color version too! 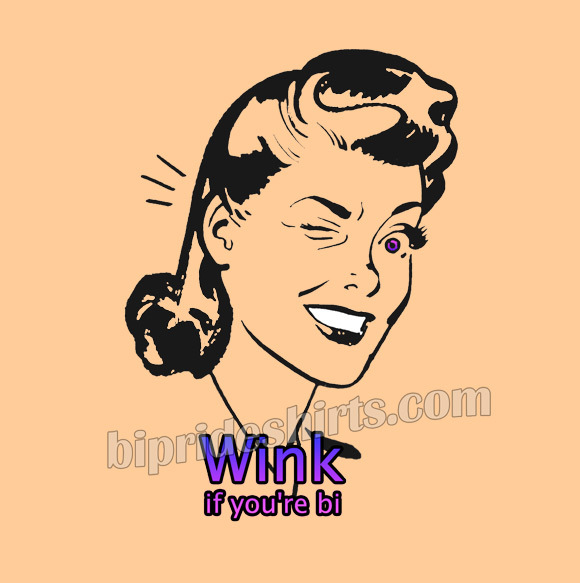 A fun design featuring a retro girl with bi pride colors in her eye and the words “Wink if you’re bi” below it. This shirt is just fabulous for a lot of reasons. We are big on bi visibility here. This shirt is also a bit of a flirty shirt that welcomes other people to introduce themselves to you if they are bisexual without fear of being condemned. Because bisexuals are so invisible in our society and people like to assume a person is either gay or straight it is hard to know how accepted you will be by someone for who you really are. 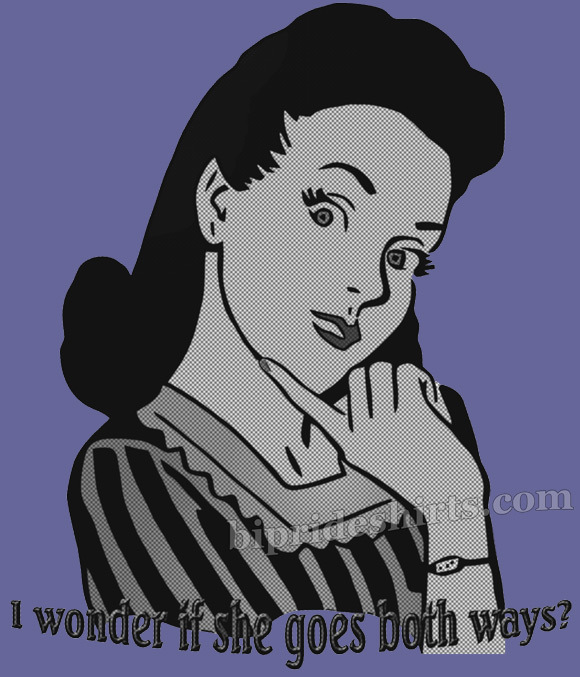 Create one-of-a-kind custom t-shirts at Zazzle. You can find a direct link to the women’s styled shirts HERE. this little button will pretty much serve the same purpose.